Thuthukani Consulting Engineers teamed up with Fermel to design and manufacture the electric traction system for Fermel’s new 25 ton electric hauler. The development of the system has led to breakthroughs in battery management and electric drive technology, and most importantly, in zero emissions mining technology. Together, Thuthukani and Fermel are playing their part in ensuring a bright future for SA mining operations. One of the biggest trends being seen currently in the mining industry is mechanisation. Several prominent mining operators and the local media have pointed out that in order to stay viable in the decades to come, local mines will have to put modern mechanisation at the forefront to ensure longevity, safety and productivity. 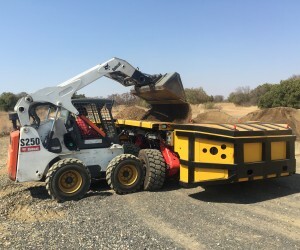 Playing their part in this vision for the future is local consulting engineers and project management firm, Thuthukani, and underground trackless mining machinery manufacturer, Fermel. In developing a new 25 ton electric hauler vehicle with applications in soft and hard rock mining, Fermel tasked Thuthukani with the design and development of the hauler’s electrical traction system. The two companies have previously collaborated on the production of a fully battery operated personnel transporter. Thuthukani was responsible for designing the Electrical Traction System for the unit including all auxiliary systems, the battery storage system, electrical propulsion including traction control and torque vectoring, the cooling system, electrical management and the distribution system. They also had to devise a cost effective means of high speed charging for the on-board battery system and ensure that their designs could integrate the multi-wheel control system to the Fermel operating system. The first working prototype is set for implementation in 2017. In looking at the capacity of Thuthukani’s Electrical Traction System and the overall design of the hauler from Fermel, it is clear that both companies have the capability to answer the needs of forward thinking modern mining operations. “One example of the reasons contributing to a slower rate of mechanisation in South African mines is the fact that some mining equipment imported from overseas would have rubber tyres and rubber tyre equipment that can only operate up to maximum angles of 11 degrees. This opens the door for local manufacturers to leverage their knowledge and understanding of the South African mining environment and create products that answer its unique needs,” argues Calvin Coetzee, Electronic System Engineer at Thuthukani. According to Coetzee, the design and development of the hauler’s system lead to the discovery of numerous opportunities to improve mining operations and achieve significant cost savings. All of these potential benefits provide a clear vision for the future of mechanised mining. 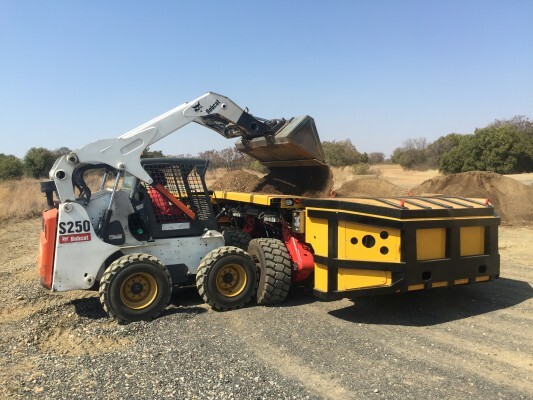 “Both Thuthukani and Fermel identified the opportunity within the South African mining sector for significant cost savings to be made in the use of battery electric based mining machines. These machines provide numerous key advantages over their diesel counterparts,” says Coetzee. Coetzee agrees saying that combining the expertise and experience of Thuthukani as a specialist in battery management and electric drive technology and Fermel as a leading OEM in innovative mining solutions, provides an ideal partnership offering a unique selling proposition to its target market. “This new venture is underpinned by continually seeking out and exploiting uncontested markets within the mining industry by taking bold steps on the path to adoption of zero emission technology,” Coetzee concludes.